PTSD and VA Disability Benefits: Finding a Path to Healing If you are coping with Post Traumatic Stress Disorder, you know that you are not alone. Hundreds of thousands of veterans face the symptoms of PTSD every day. Post-traumatic stress disorder (PTSD) and panic disorder (PD) are two different mental health conditions, but veterans can suffer from both. With PD, veterans experience unexpected panic attacks that cause them to feel terror, fear, and anxiety when there's no evidence of any danger. With PTSD, veterans may experience nightmares, flashbacks, and severe anxiety and stress about an incident or situation that happened in the past. Veterans may experience these symptoms right away, or have symptoms years later. Veterans who suffer from either or both of these mental health conditions may qualify for disability from the United States Department of Veterans Affairs (VA). But it’s important to hire a skilled VA disability lawyer to help with your claim. Whenever veterans submit a claim for VA disability, they need to show how their conditions are service-connected. They need to prove the injury, medical condition, or illness that disabled them occurred during or was aggravated by their military service. A diagnosis from a qualified medical professional. The VA won't accept the opinions of private therapists, licensed mental health social workers, and licensed counselors. The diagnosis must come from a board-certified psychiatrist or licensed psychologist. Credible evidence that some type of in-service “stressor” occurred that brought on their condition. For veterans looking to obtain disability benefits for PD, this is often one of the biggest challenges. As with PTSD, proving that an incident happened years prior can be difficult, as there might be missing records, or there may not be any records of the event at all. For PD, it can be helpful for the veteran to provide a buddy statement. This statement is usually a letter that confirms the location, details, and specifics of the event that caused your condition. You can either provide a letter from co-workers in the military or from friends and family members. Medical evidence that there's a direct cause between the symptoms you're suffering and the stressor. For veterans who suffer from PTSD and/or PD, it’s possible to qualify for financial benefits from the VA. If you need help service-connecting your mental health condition and want to file for compensation or appeal a rating decision, contact Cuddigan Law. Our attorneys have supported veterans for years, and we’ll carefully examine your case and advise you on the best approach for receiving the maximum in compensation benefits. Use the convenient contact information on this page to reach us today. 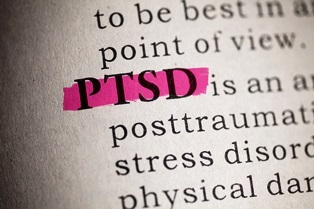 Suffering From Post Traumatic Stress Disorder? You’re Not Alone—Help Is Available. Get Your Free PTSD & VA Disability Benefits Guide.Download Now!